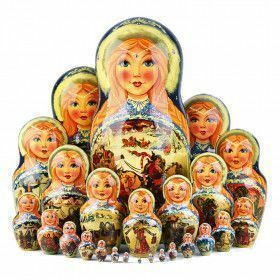 Find a wonderful collection of Russian Troika themed nesting dolls! 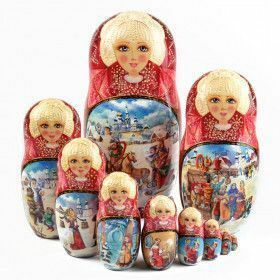 The Russian Store has one-of-a-kind Troika themed matryoshkas to choose from, as well as Troika themed lacquer boxes. Troika is a sled or carriage drawn by three horses harnessed side-by-side, iconic symbol of Russia.